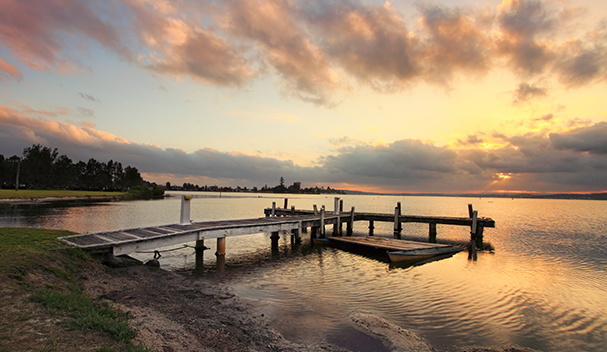 Living in Lake Macquarie and looking for a dentist? At Honeysuckle Dental we are starting to see a number of people make the trip from Lake Macquarie to our Newcastle practice. Our teeth play such an important role in our lives so it’s important that we take care of them. At Honeysuckle dental in Newcastle we provide a number of services that will rejuvenate your teeth and help you maintain a healthy smile. Holistic dental care is a key focus at our Newcastle practice. Visiting the dentist on a regular basis is one of the surest ways to maintain a healthy smile. When you visit our Newcastle practice, we will work to not only rejuvenate your smile, but also provide you with the information and knowledge to maintain a happy and healthy smile. Restorative dentistry works to restore your smile to its natural and healthy state. From time to time we may experience dental trauma or damage; unfortunately, for most people, only serious pain or visual displeasures provide the motivation to do something about it. Cracked, chipped, damaged or missing teeth can have serious health risks if not treated, so it’s best to act sooner rather than later when considering restorative dentistry. The benefits of having a bright and happy smile are numerous. Not only does it show the world you are happy and confident, it also has tangible health benefits. At Honeysuckle Dental, we believe everyone has the right to a happy and healthy smile. We provide a range of cosmetic treatments specifically designed to address your concerns and wishes. The dental world is quickly evolving, and so are the associated treatments and technologies. At Honeysuckle Dental we remain at the frontline of these advancements. What does this mean for our patients? This means our patients are receiving the very best service with reduced discomforts, reduced treatment time, and reduced recovery time. While we can’t promise zero pain we can ensure far less discomfort than most would associate with a trip to the dentist. Implementation of laser dentistry allows us to complete teeth whitening, fillings, root canals, restorations and cosmetic procedures with reduced discomforts. Through endodontics and virtually pain-free dentistry, we are able to complete root canal procedures with reduced pain. At Honeysuckle Dental we focus on what needs to be done to help people achieve and maintain a healthy and happy smile. We ensure the treatment you are recommended is one that’s best suited for you and your desired outcomes. We are happy to extend our services to those living in the Lake Macquarie area.